On November 6, 2012, Election Day, we will exercise our right to choose. Some of us will choose to vote for Barack Obama. Some of us will choose to vote for Mitt Romney. During the day of November 6, 2012, we will make different choices for different reasons, hoping for different results. But that evening while our nation turns its attention to the outcome of the presidential election, let’s again choose differently. But this time, let’s do it together. 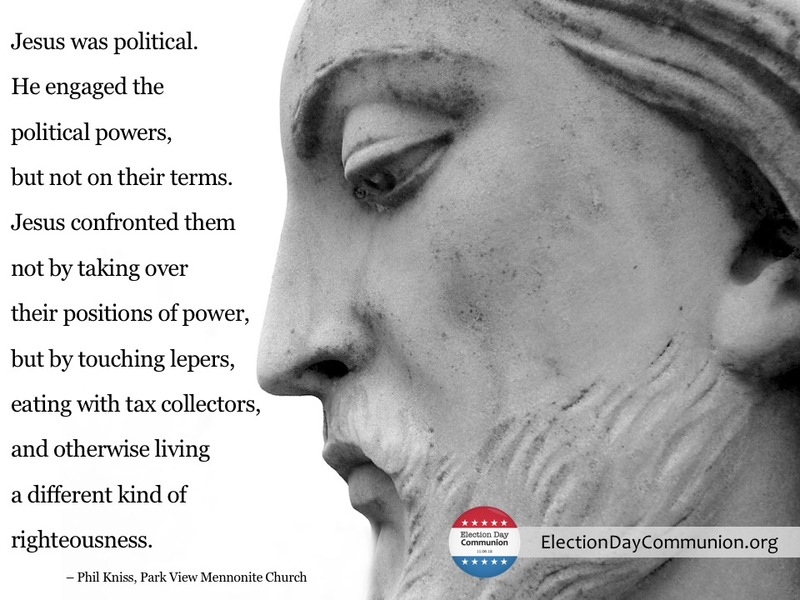 This is the message from “Election Day Communion,” an initiative of the Mennonite Church. They, and other faith communities, will gather for prayer and communion, to share in unity on a day where much of our country may be divided. and may God take your hearts, and set them on fire for Jesus!